Simsite® Structural composites outlast traditional metallics by years. The light weight and durability of the composite makes it an easy decision to upgrade rotating equipment with Simsite®. 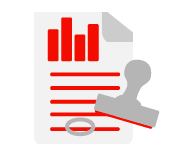 Operators in every industry are being asked by Management to get more out of their systems. 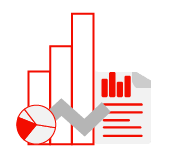 Upgrading their equipment with Simsite® is a cost-effective method of improving reliability, efficiency, and service life. Both impellers operated for two years – the Bronze Impeller is Completely Destroyed, but the SIMSITE Structural Composite Impeller is like NEW! 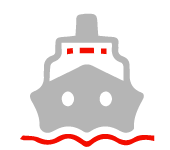 One of the most important advantages Simsite® has over metal is its resistance to corrosion and erosion in salt water. 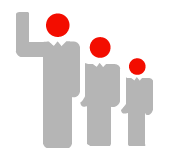 Simsite® Products are also excellent with most chemical applications and is not subject to damage by gasoline, oil or refinery by-products. 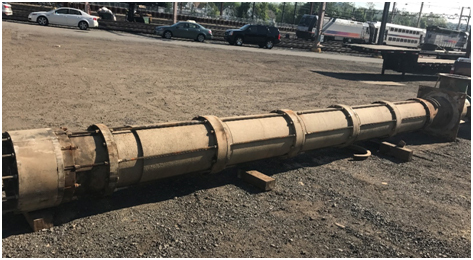 This SIMS 30 FT Vertical Turbine Intake Pump made entirely of SIMSITE® Structural Compositewas in seawater service for more than 23 years at a power plant in Morgantown VA.
Simsite® is an inert composite which does not conduct electrolysis. 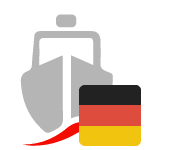 Prolonged exposure to salt water will not affect Simsite® parts. The more inert products (Simsite® structural composites or Simsite® coatings) you put inside your pump the lower the level of electrolysis. This Bronze Ballast Pump Casing has been upgraded with a SIMSITE® Structural Composite Impeller, Casing Rings, Diffuser Rings and Bearings. 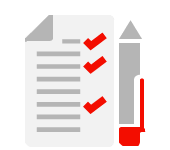 The SIMSITE® Products DO NOT support ELECTROLYSIS or CORROSION! Simsite® is much lighter than metallic materials – compared with bronze, Simsite’s weight is only one sixth! 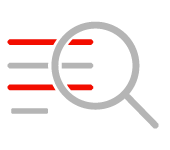 The lighter mass means a substantial reduction in start-up load, shaft movement and shaft deflection, resulting in a much longer life for the bearings, mechanical seals, casing and wear rings, and sleeves. All Simsite® Impellers and parts are 100% precision machined, which increases accuracy and efficiency. 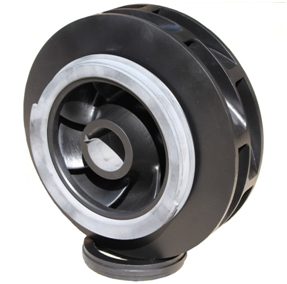 Impeller vane shapes are contoured for maximum performance and efficiency. 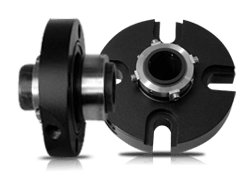 These SIMSITE® High Suction Specific Speed Impellers wereengineered and designed using state-of-the-art CFD techniques to maximize efficiency! 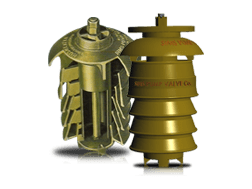 The extraordinary high strength of Simsite® enables the composite to replace metal impellers and pump parts which are subject to corrosion, erosion, electrolysis and cavitation. This Two Stage Vertical In-Line Fire Pump is made entirely of SIMSITE® Structural Composite and replaced a stainless steel pump! Casing Rings and Wear Rings will not gall or seize like metal rings. 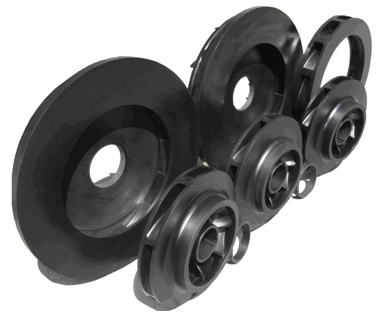 Therefore, Simsite® Rings can operate with tighter clearances permitting less leakage through the rings and increasing pump efficiency. 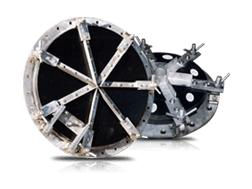 Additionally, Simsite® Casing Rings seal against the pump casing preventing the “wash out” of the casing ring areas that is a common maintenance problem with centrifugal pumps. Because SIMSITE® Casing Rings will not seize and gall like metallic rings, the SIMSITE® Composite Rings can operate with closer clearances which allows less leakage through the rings which increases performance and efficiency! 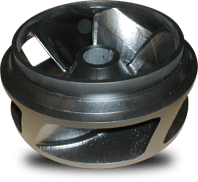 Because of the high efficiency design of the Simsite® Impeller, its light weight, its noise absorbing characteristics, and its precision machined design, noise and vibration are reduced in the pump. 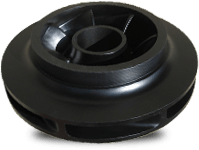 These Open Faced SIMSITE® Impellers are designed specifically to reduce Noise, Vibration, Cavitation! 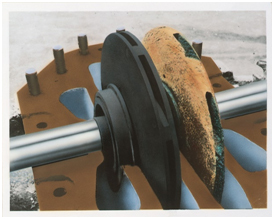 Simsite® Impellers guaranteea substantial reduction in repair & maintenance expenses for the pumps in which they are installed because of their exceptional resistance to corrosion, erosion, cavitation and wear. 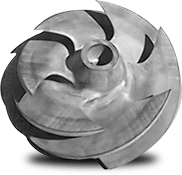 Unlike metallic impellers, Simsite® impellers show no degradation in performance from their design point even after years of service. Based on the unique properties of the Simsite® material,and state-of-the-art engineering design, the best performance is achieved even after years of operation. 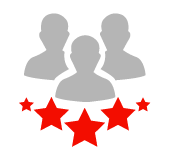 Unlike metallic which corrode, erode, cavitate, and wear, Simsite® Products DO NOT deteriorate or cause a reduction in performance or efficiency! 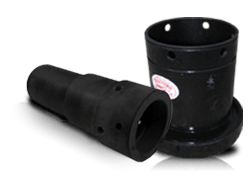 This SIMSITE® Horizontal Split Case Pump machined from solid blocks of SIMSITE® Structural Composite was engineered to maintain the BEP at the operating point in the power plant without deterioration or degradation of performance over time. 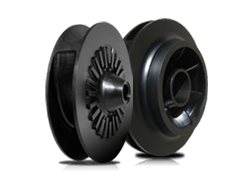 Based on the chemical composition of this structural composite and its self-lubricating properties, Simsite® Impellers, Casing Rings, Wear Rings, Guide Bushings, Sleeves and Bearings allow dry-running for a period of time without any danger of damage. 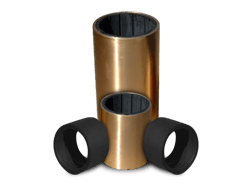 SIMSITE® Guide Bearings and Bushings have loose graphite embedded in the resin system of the structural composite, which acts as a lubricant protecting the shaft and impeller. 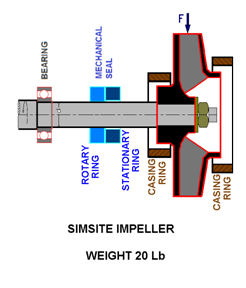 Why are Simsite® Pumps, Impellers, and Pump Parts Superior to Other Products? Reduced energy consumption due to reduced weight and hydraulic design. 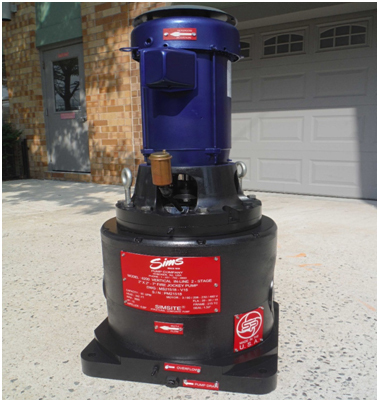 No drop off in performance or deterioration of the pump, with age/wear (energy efficiency). 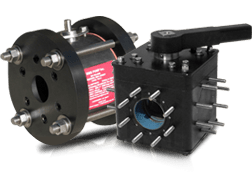 The entire rotating element (including the motor) lasts longer with Simsite® Impellers, Rings, Sleeves, Bushings, and mechanical seals installed. Reduced maintenance on bearing/seal assembly due to better balance and retained balance through life. Maintenance & Repair Costs are substantially reduced. 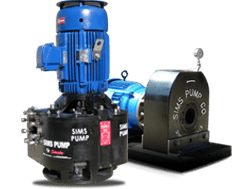 Simsite® Pumps, Impellers & Rings, Sleeves, Bearings, Mechanical Seals and other Pump Products NEVER CORRODE, or DETERIORATE in Seawater, Wastewater, Sewage, Chlorinated Water and are excellent with most chemicals. Simsite® Products DO NOT support ELECTROLYSIS -- Galvanic Corrosion is therefore eliminated. 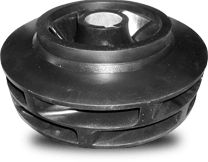 Simsite® Impellers are Perfectly Balanced and remain perfectly balanced for the life of the pump. 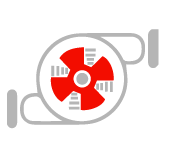 Sims Pumps & Impellers are Energy Efficient. 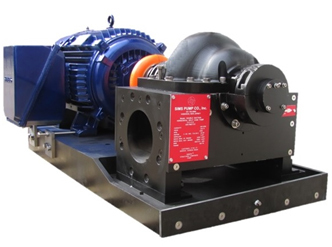 SIMS Pump can make ANY centrifugal pump energy efficient by just upgrading the Impeller & Rings. 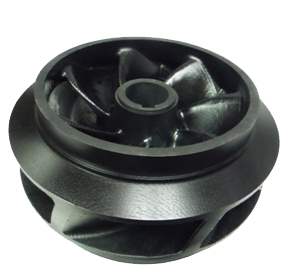 Sims Pump & Impellers are 100% Machined on the Inside as well as the Outside. They are not cast or molded. 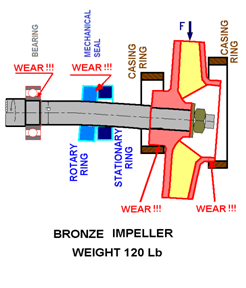 Sims Pumps & Impellers Last Much Longer than other pumps and impellers. 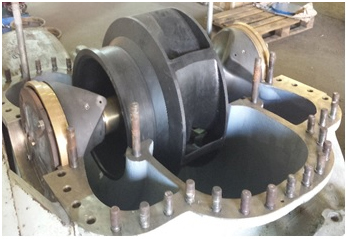 Can Re-Design or Re-engineer Impellers to operate at the Best Efficiency Rate (BEP). Light Weight – 6 Times Lighter than Bronze, Cast Iron, or Stainless Steel. Never have a broken Shaft Again!